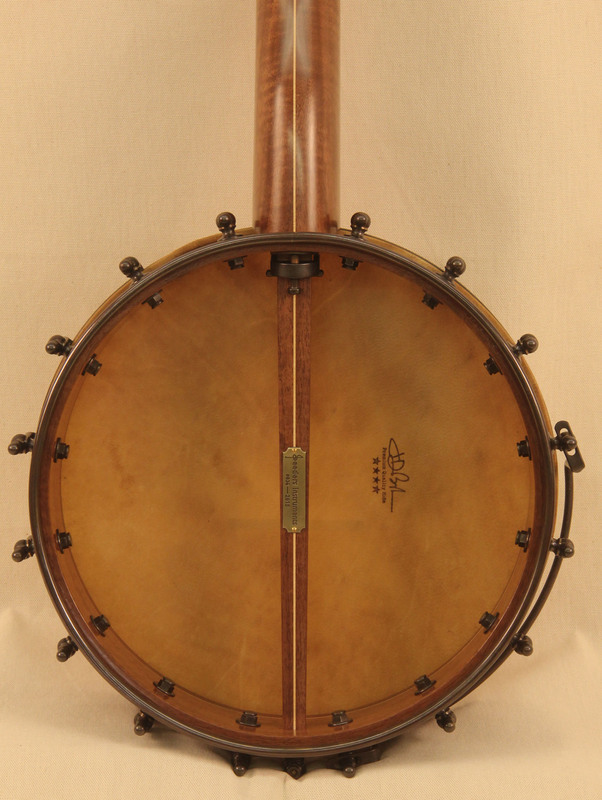 This banjo features the first half spun over banjo rim that I’ve made. 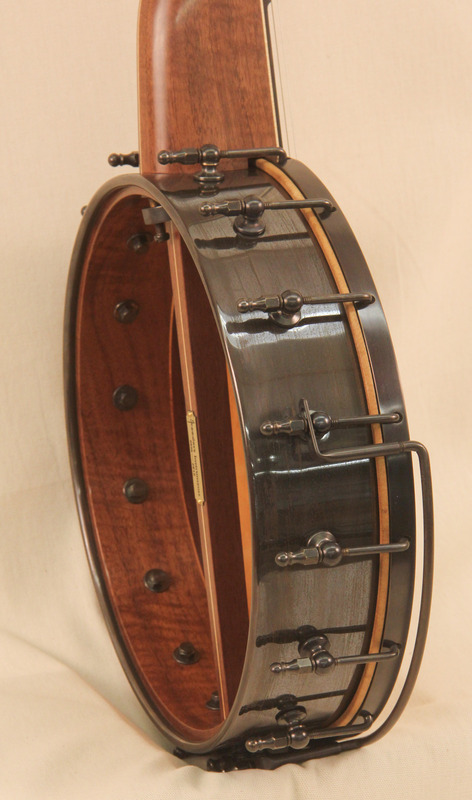 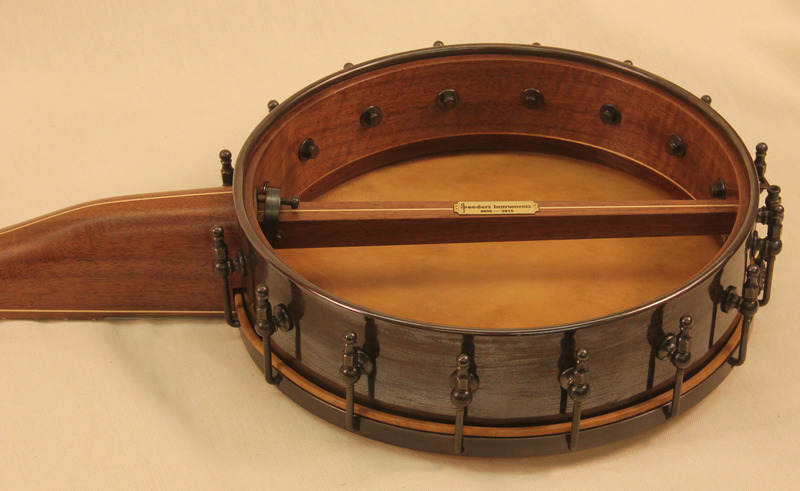 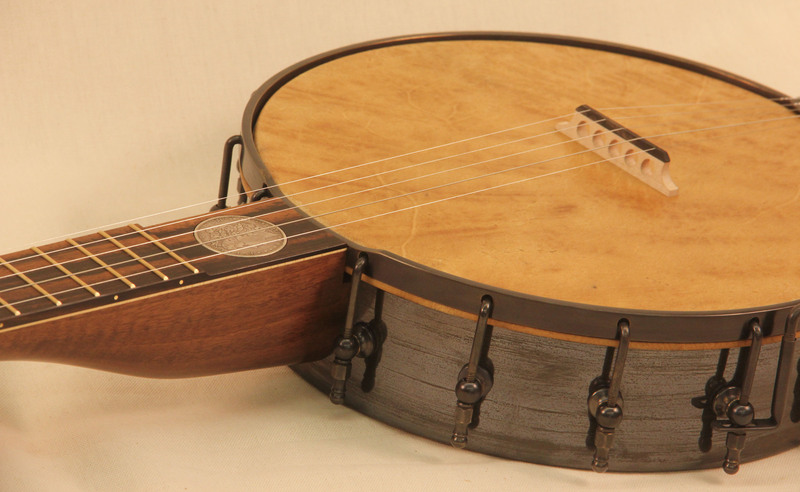 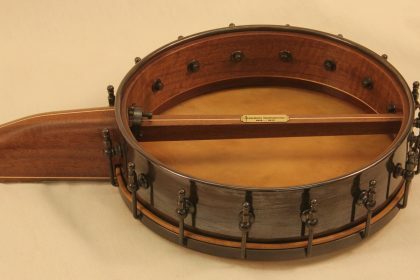 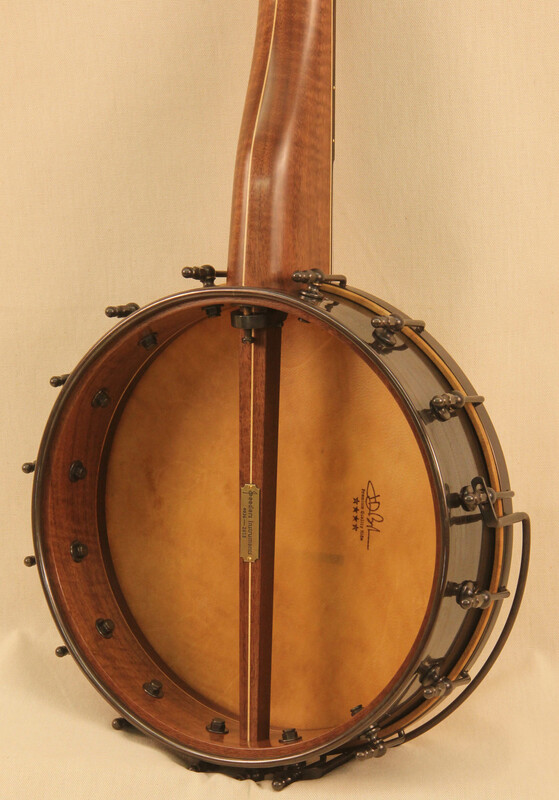 It’s built very similar to the old style of spun banjo rims but it’s topped with a wooden tone ring. 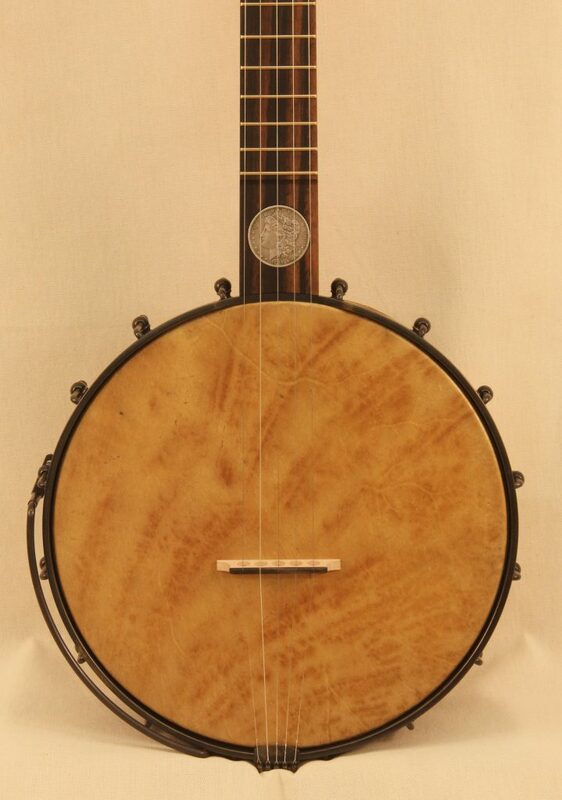 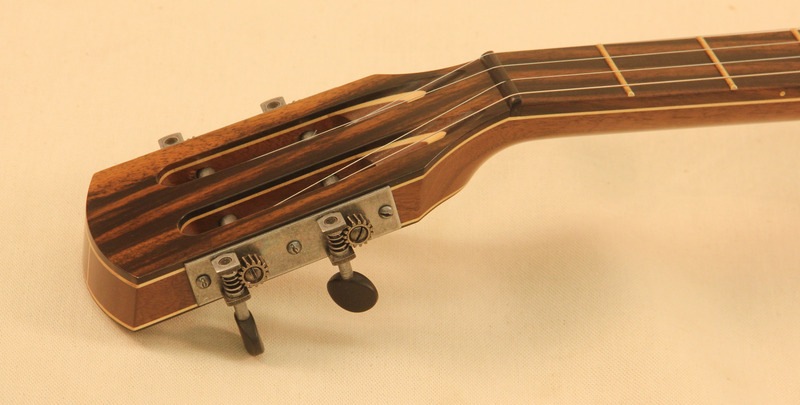 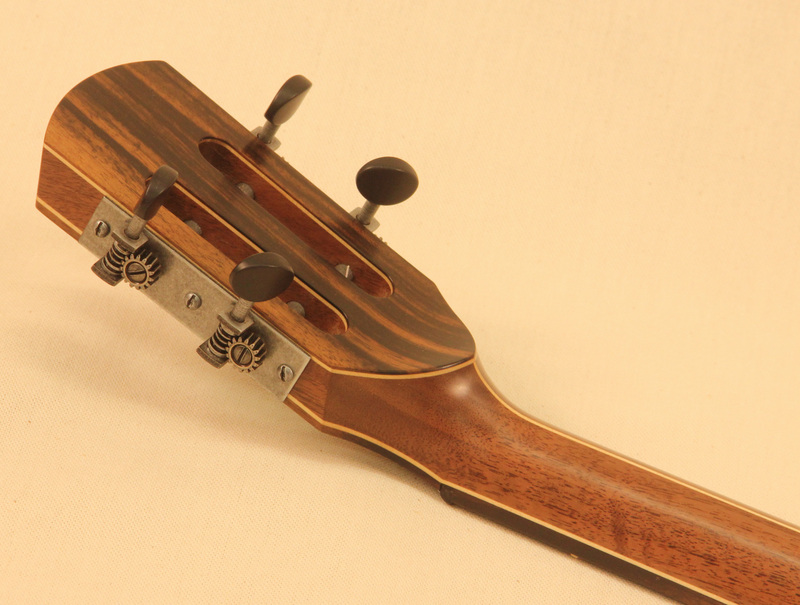 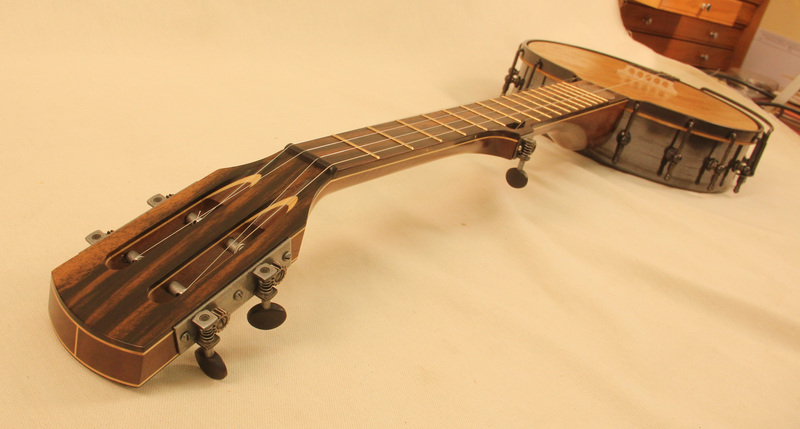 It’s loosely designed from old Dobson banjos with some variations. 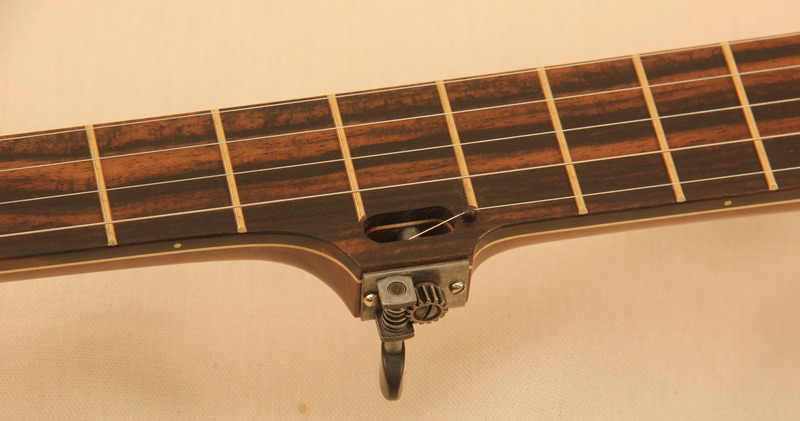 With the slotted 5th string that starts on the seventh fret it has a great look to match the slotted peghead while not loosing space behind the 5th fret for your hand. The owner also had me inlay an 1889 Silver Dollar that he got from his Grandfather.